The United States and Japan – Twins in Denial | It's demographics, stupid! Japan is the best and only relevant case study to predict what will happen to the U.S.
Building on the author’s earlier work The Harder They Fall: Will the U.S. follow Japan into the Abyss? 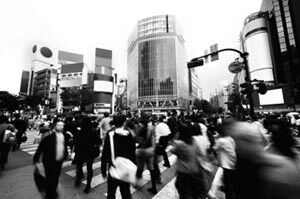 (2004), Twins in Denial argues that the U.S. economy is undoubtedly following the same path as Japan’s. 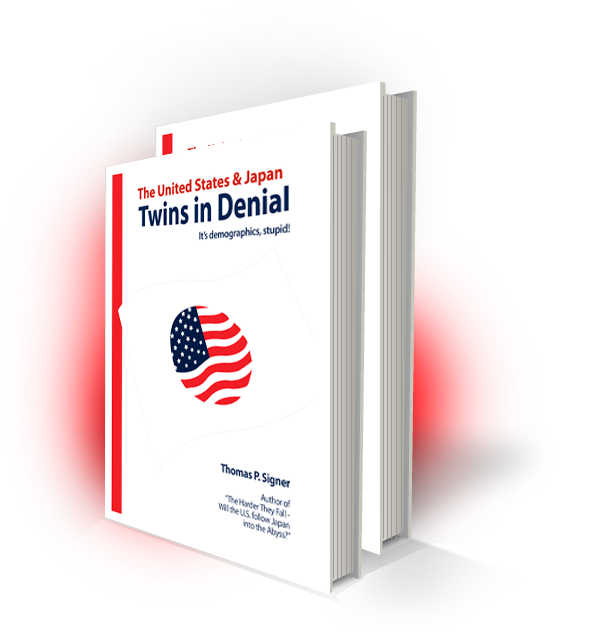 (To view or download the Introduction from Twins in Denial, please click here) While the media, economists and policymakers have often acknowledged parallels between the US and Japan over the years – for a list of selected quotes click here – the discussion is, even to this day, still heavily couched in denial. With a comprehensive comparison of the fascinating boom and bust cycles of the two nations, Twins in Denial details how American policymakers have continuously failed to learn these crucial lessons from Japan. But how can two countries as dissimilar as Japan and the U.S. share the same economic fate? The answer lies in one persistently overlooked commonality: Demographics. By comparing the astounding demographic similarities between these two nations, Twins in Denial demonstrates clearly why the U.S. is shadowing Japan and what consequences this disturbing parallel will have for America’s economic and financial future. Click here to view the accurate forecasts made in The Harder They Fall. Thomas Signer spent a decade on trading floors and in investment banking cubicles at Nomura Securities and at Morgan Stanley. He sold Japanese shares to Swiss investors at Nomura in Zurich in the heydays of the late 80s, received training in Tokyo,…View more.